Created on Sunday, November 8, 2015. I last modified it on Wednesday, January 20, 2016. Filed under Physical Objects, 3D Printing, Lists. New to 3D printing and not sure what you need? I list the tools I use most, and what I use them for. So your first 3D printer is on its way (congratulations!) and you want to be ready to start printing right away. When I first started I couldn’t find a shopping list of tools and consumables that went into useful detail, so I ended up buying stuff that I didn’t really need. Well let’s fix that. Here’s a list of all of the things that I use during almost every printing session. Each section is ordered by how often I use that tool. I include approximate prices in Australian Dollary-Doos to give you an idea of the cost. You can’t finish a print if it won’t stick to the build platform! Blue tape and alcohol are only useful for printing PLA on an unheated build platform. If you’re printing PLA or ABS on a heated platform you may want to look at kapton tape, a sheet of borosilicate glass, or PEI plastic. Many other solutions are on the market too (Buildtak, Zebra Plate, and so on). This is what works best for me! When people mention ‘blue tape’, they mean #2090. Some people use other kinds of masking tape, but #2090 has always worked perfectly for me and it’s easy to find in hardware stores. Get the widest roll you can find to minimise the number of joins that end up on your build platform. You can keep using a single tape layer until it becomes too damaged to continue — in the past I’ve printed 30 copies of the exact same object in the exact same place on the tape, and the tape still grabbed the plastic perfectly well (although it was beginning to get worn and a little furry). 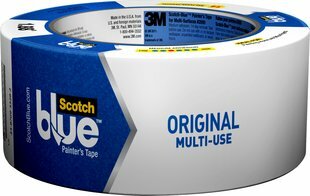 Blue tape is coated with a release agent that makes it possible for you to peel strips from the roll rather than having the whole thing just stick to itself. Once you’ve applied the tape to your build platform, squirt some alcohol onto it and scrub it with a paper towel to remove that release layer. Assuming your first layer temperature is right, the plastic will stick flawlessly with minimum warping (zero warping if you print with a brim or mouse-ears). I used to put a layer of Elmer’s Disappearing Purple glue stick on top of the tape before each print, but taking the time to zero-in your first layer temperature completely negates the need for glue stick. Glue stick leaves a sticky residue on the bottom of the print so it’s good to avoid it if you can. If your bed adhesion is strong, then removing prints can be tricky. This is good! Too much adhesion is better than too little, I think. 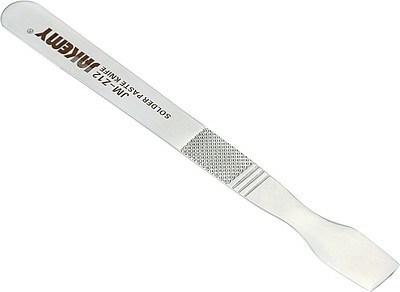 A flat spudger is a very thin and strong prybar that is used to get into the tiny seams of phones and other gadgets to pop the cases open for repair work. Sharpen the tip on only one side to get a thin chisel edge. I gently hammer this underneath a print, and then pry up to release the print from the bed. If a part is really broad and well-stuck to the bed, then I pry a corner up with my spudger and then slide one of these thicker plastic scrapers underneath. I work both of them around the print until it comes free. 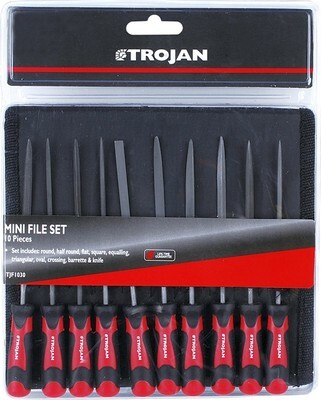 I use only the smallest one in this pack (it’s about 4 cm wide), and I sharpened the front to put a chisel edge on it. Removing a print often lifts the tape underneath it too, and plastic scrapers are perfect for smoothing the tape back down. 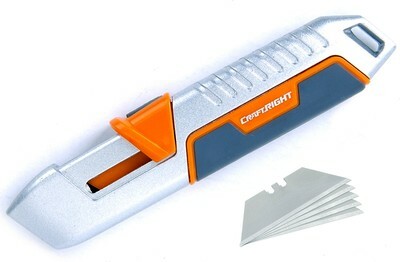 Just be sure to get a scraper that doesn’t have a fat handle, as this makes it difficult to slide it under a print. Incredibly important. You use them to calibrate your printer and measure parts during the design process, so get good ones. 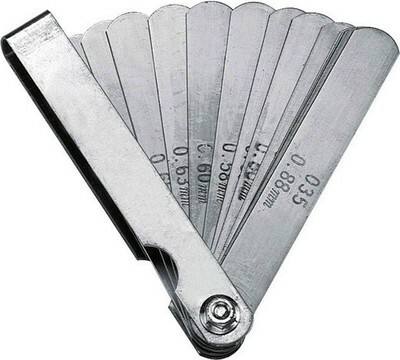 The market is flooded with calipers that look like the ones in the above photo, and they’re even rebranded and sold in stores. I would buy a rebranded one from a hardware store because they go through a better QA process to get there; I bought a set for $30 from the store and a set for $10 from AliExpress, and the AliExpress ones move really roughly and zero less reliably. It’s a digital protractor: Put it against something, read the angle, type the angle into your CAD program. 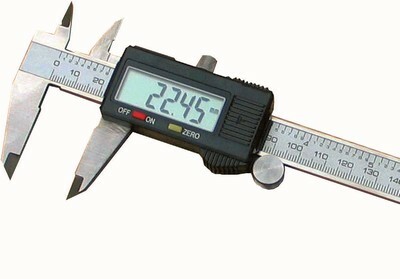 The digital angle finder is quite large and it can be difficult to get it into small areas. Put the sliding bevel onto an angle, tighten it up, and then use the digital angle finder to read it. You can also use the sliding bevel to see whether an angle stays consistent along the length of an object. Are you making a holder to stick to your car dashboard, but having trouble measuring all of the curves so that you can match it exactly in your print? Slap the contour gauge onto it and trace the shape onto paper. Then you can scan or photograph it to scale, import it into your model as an SVG, extrude it, and keep working. Sometimes you need to measure a gap that’s too small to get the calipers into. Each leaf in a feeler gauge is a precise thickness, so you just slip some leaves into the gap and add them all up. 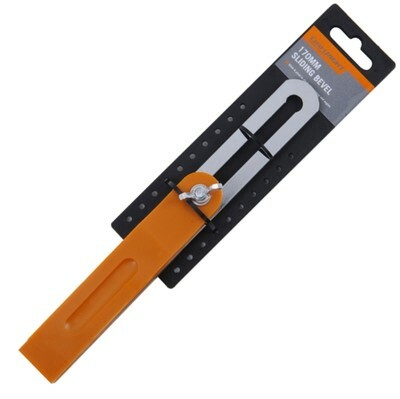 I’ve used it to measure the tolerance of holes around a screw by poking the rounded tip of a leaf into the gap. 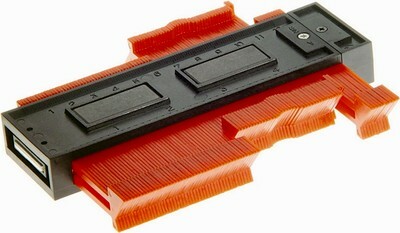 Your printer may or may not come with hex keys, so you might need to buy some. 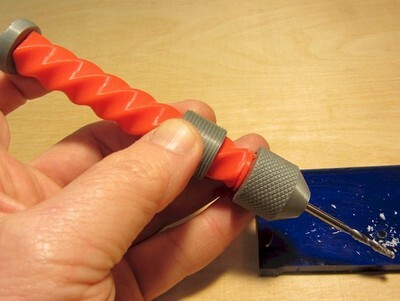 You should also print some handles for the hex keys, it makes them so easy to use. Printrbot recommends this brand of oil for lubricating smooth rods, bearings, and the Z-axis lead screw. A nice pack of assorted zip ties will find a lot of use in tidying up wiring, tensioning belts, and around the house. Let’s say that you begin to hear a strange creaking or clicking or buzzing from your printer. Is it coming from your linear bearings? 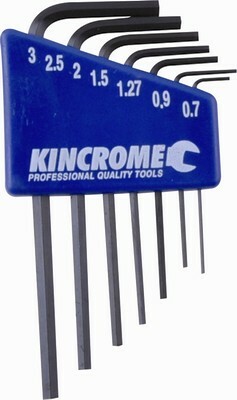 Your stepper motors? Your belts? How do you diagnose the source? 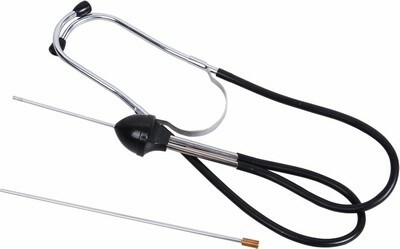 Well you take your mechanic’s stethoscope, press the probe firmly onto a part, and listen. Most of the tools I use are for cleaning up prints before use. I’ll include links to places where you can buy some of these because they are harder to find in stores. Absolutely invaluable. 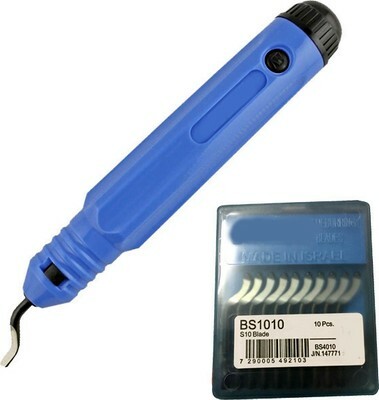 A deburring tool has a pivoting blade that you can use to clean up and soften hard edges and rough holes. Every object I print gets softened with the deburring tool, and it just makes the piece feel finished. You’re supposed to put this tool inside a small hole in sheet metal, and then turn it to slowly cut a hole to the desired size. 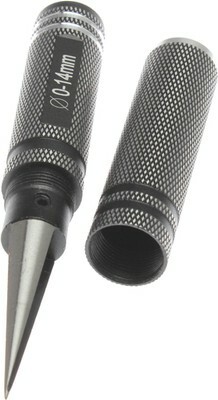 I use it to countersink printed holes and deburr very small ones that the deburring tool can’t fit into. Very important for refining the fit of printed parts. Many of the files look similar, but each has a different taper and different rough and smooth faces. You’ll want all of them even though you’ll find yourself mostly sticking to the round and half-round. The blade of a woodworker’s utility knife is thin enough to get into small gaps in prints, but tough enough to cut through plastic without wanting to snap like an x-acto blade. 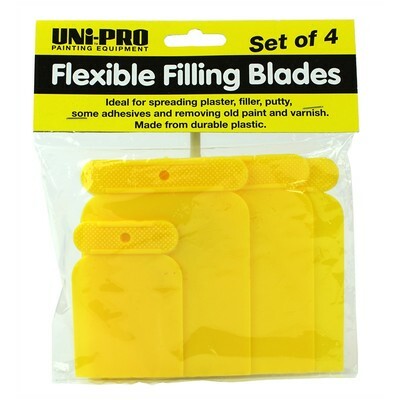 Many and varied uses including removing brims, scraping off imperfections, and removing supports. 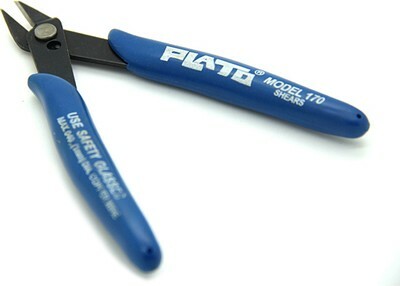 The back face of a flush cutter is completely flat, so you can cut supports off a print right at the surface and have little or no clean-up to do. You often need to drill holes out to the correct diameter, and you don’t need much effort to drill into printed plastic. Stick your drill bit into a hand drill and it will all be fine. Sandpaper. 1200-grit, 400-grit (most used), and 40-grit. I don’t use sandpaper very much for surface finishing, but I do use it for gluing prep and resizing parts. Cyanoacrylate glue, or any other glue that works for the plastic you’re printing.